Employees’ financial stress—whether it’s long-term like saving for retirement or immediate like paying the rent—can have a direct impact on their performance at work. A new report released today by the International Foundation, Financial Education for Today’s Workforce: 2018 Survey Results, takes a deep dive into the financial struggles faced by employees and the steps employers are taking to help. While the number one financial challenge among employees appears to be credit cards and other debt (reported by 70% of employers), employers also cite trouble saving for retirement, children’s education expenses and covering basic living expenses as the top issues their workforce is struggling with. The report finds these factors are taking a toll on the workplace in the form of stress, the inability to focus on work, physical health concerns and absenteeism. 36% of employers said their average retirement age employees are only a little bit or not at all prepared for retirement. 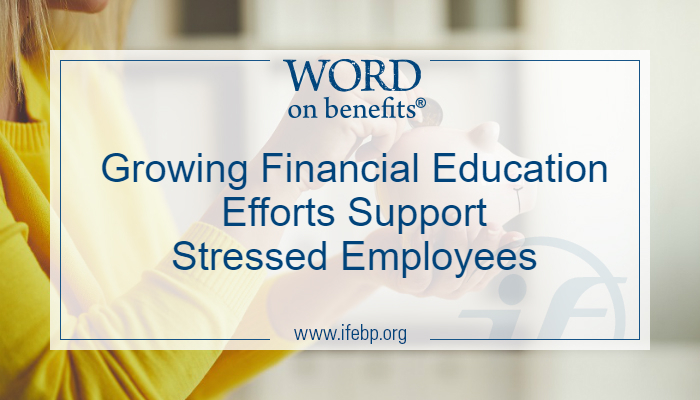 To help combat these financial challenges, 63% of employers currently provide financial education initiatives to their workforce, and an additional 19% are considering such initiatives for the future. 24% of employers report they have a financial education budget in 2018, almost double the number that had such a budget in 2016. An additional 20% of employers are considering adding a financial education budget. More than half of employers with budgets are planning to increase their budget in the next two years. The most popular education methods used by employers offering financial education include voluntary classes or workshops, free personal consultation services, retirement income calculators, internet links to informational sites, and projected account balance statements and/or pension benefit statements. Learn More: Find resources for plan sponsors and their participants here (U.S.) or here (Canada). 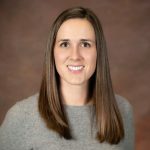 The report found that employers offer financial education on a wide variety of topics, from life insurance and identify theft to student loan debt and end-of-life planning. However, the top five most common topics include retirement plan benefits, preretirement financial planning, budgeting, investment management and retiree health care. Additionally, employers are beginning to target education for life events; 17% are currently doing this and 23% are considering doing so. Of employers offering life-event education, the most popular include for those approaching retirement, funding an education, getting married, purchasing a home, getting a divorce or having a child. Want to learn more? To see the full report, visit www.ifebp.org/FinancialEd2018.